When you need a Personal Injury Attorney in Fort Lauderdale you can trust, go to Robert E. Gluck from the Law Offices of Robert E. Gluck, P.A. Maybe you were injured in a car accident, fell on another person's property, or were a victim of medical malpractice. Perhaps you were hurt from using a damaged product, or were hurt in any other type of accident, Robert E. Gluck will give you the legal representation you require. Be sure to call Robert E. Gluck immediately after your accident, because if you wait, you hurt your chances of winning. The sooner you start the entire process, the better your chance of winning. Hire Robert E. Gluck as your Personal Injury Attorney in Fort Lauderdale, when you have been hurt in an accident. After speaking with him, Robert E. Gluck will start a full investigation of your incident. He will compile all the evidence he can find to build a powerful case for you. The more evidence he can gather the better it will support your case. Robert E. Gluck will fight hard for you to get you the highest compensation possible. Your Personal Injury Attorney in Fort Lauderdale will take care of all aspects of your case, from start to finish. Robert E. Gluck knows this is a trying time for you, not only physically, but emotionally too. This is why he will work hard while legally representing you, to make sure you get the results you deserve. Robert E. Gluck will make certain you are treated fairly, and he will protect your legal rights. Contact him immediately, do not wait, or it could hurt your case. Studies demonstrate that having an attorney greatly increases your chances of receiving excellent compensation for injuries sustained during an accident. Do not try to pursue legal action on your own. 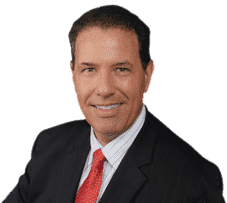 Hire Robert E. Gluck, your Personal Injury Attorney in Fort Lauderdale, who is incredibly familiar with this type of law, and has the background and experience needed to win a case. He has been an attorney since 1989, so you can trust him to do an excellent job representing you. Call Robert E. Gluck today so he can launch a full investigation for you.